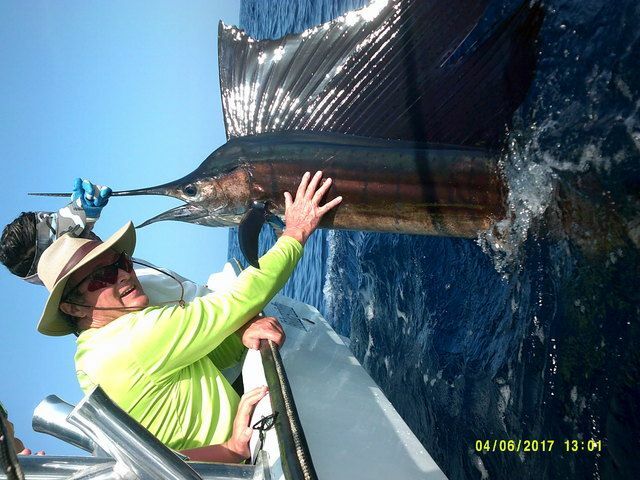 Harris ‘El Matador’ Savin kept his hot fishing streak active with a gaggle of great Sailfish releases with Captain Carlos on the 9th. 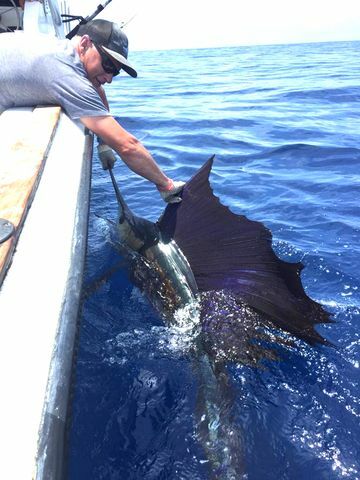 Sweet work to release these beauties alive and well. 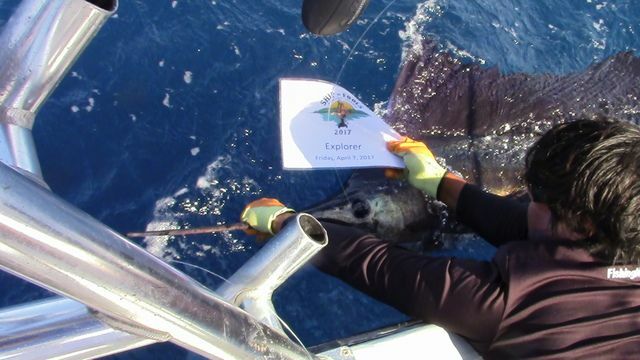 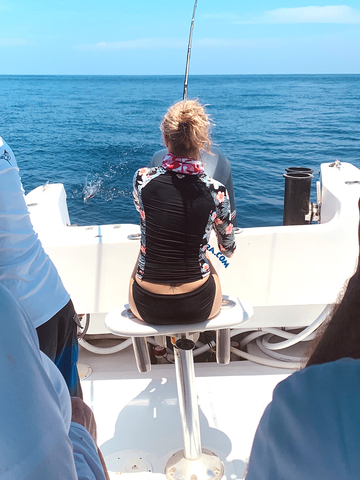 The Harvester got her last tune-up trip before the tournament on April 3, and the keen-eyed Captain Alex stayed on the fish with three nice Sailfish releases. 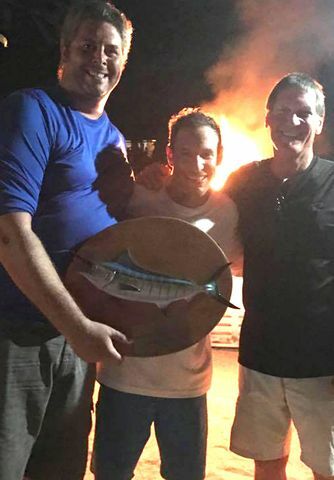 Explorer WINS 2017 Ship of Fools Tournament! 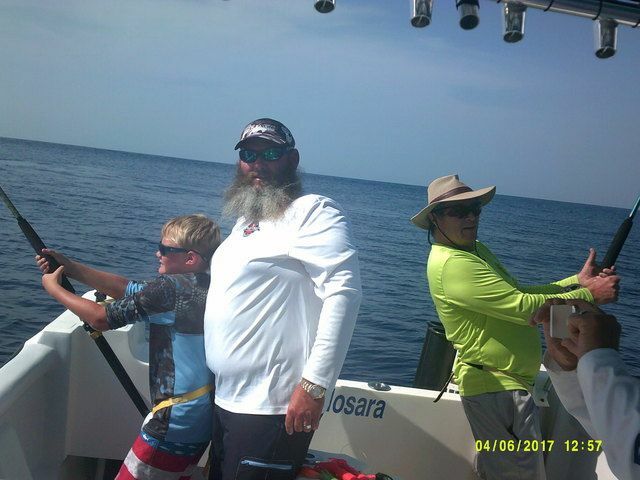 It’s a great feeling to announce that the Explorer finished in first place at the 2017 Ship of Fools Tournament. 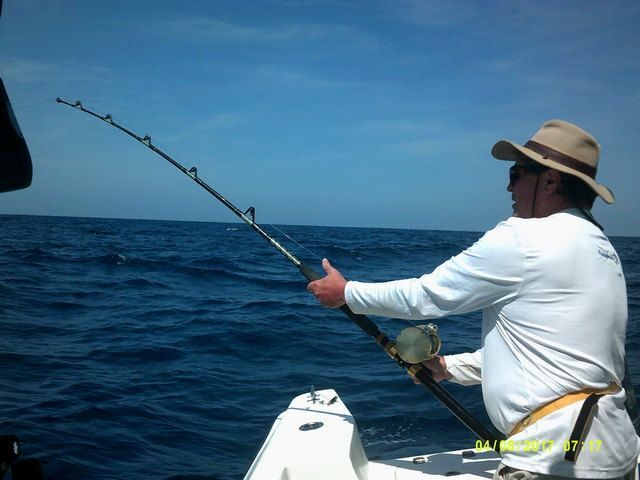 The fish were scarce and soft biting on the first day of the tournament. 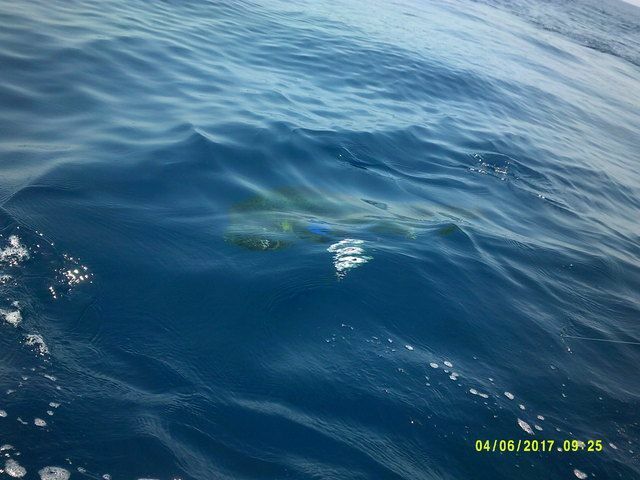 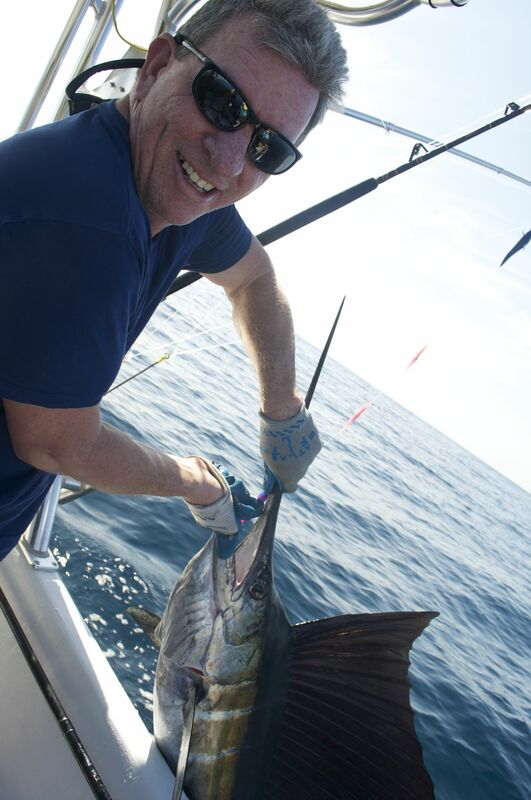 Craig scored the first and only Sailfish of the day on the Explorer around 8:30am, and the rest of the day was spent listening to the reports coming in over the radio. 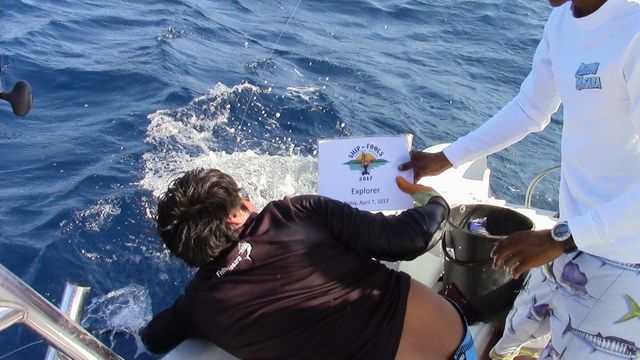 On the second day Captain Fico hatched a brilliant scheme to propel the Explorer to the top of the leader board. 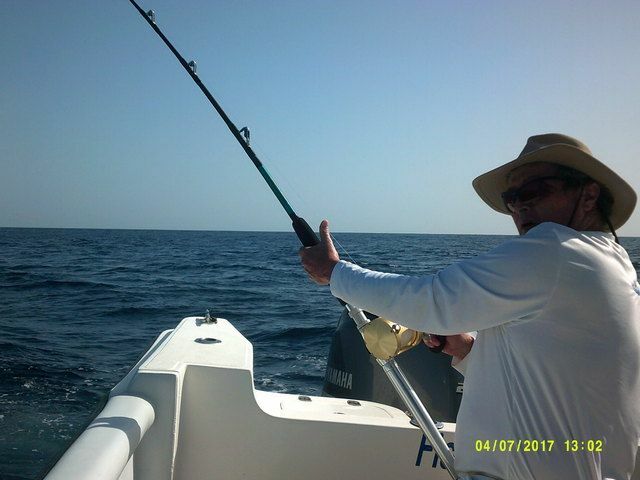 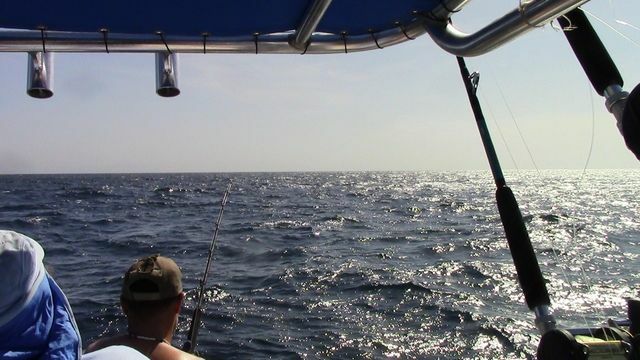 The whole tournament was fishing a blue water break 16 miles offshore, but Captain Fico felt that the fish were closer in. 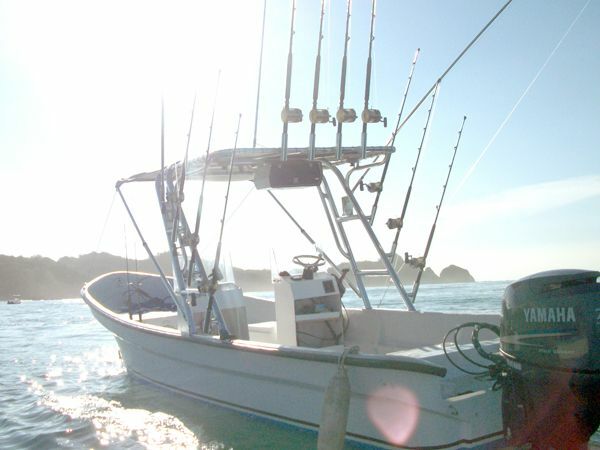 The Explorer was the last boat out of the bay and as the 300hp boats disappeared over the horizon, Fico pulled back the throttle on his 75hp at the 12 mile mark. 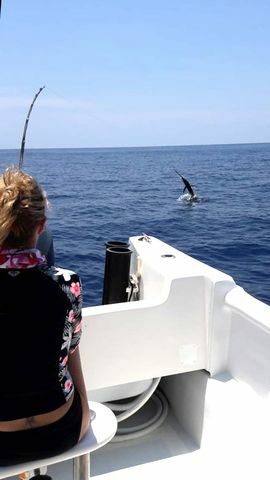 The spread was out for less than an hour when the first Sailfish came calling, and Craig put the heat on him during a quick 10 minute fight. 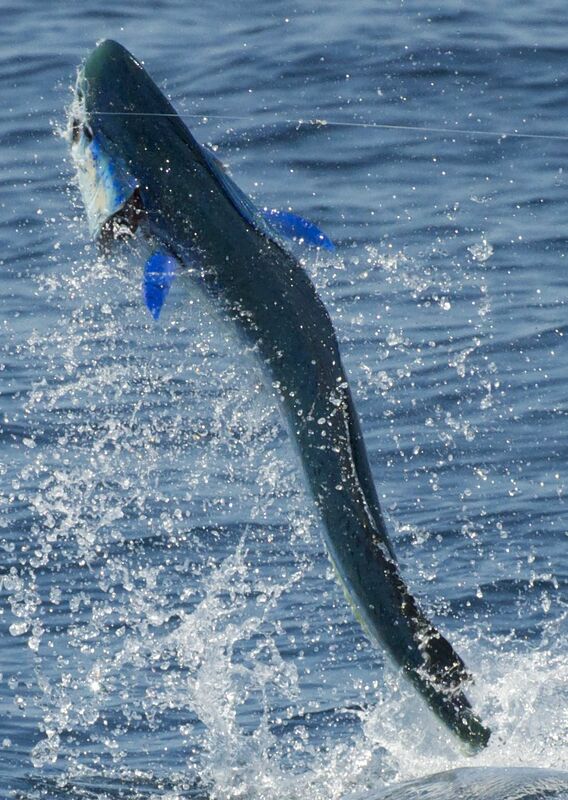 After the lead boat reported a Sailfish release bringing them to 500 points, Harris ‘El Matador’ Savin put the Super panga in a first place tie with a feisty Striped Marlin release around 915am. 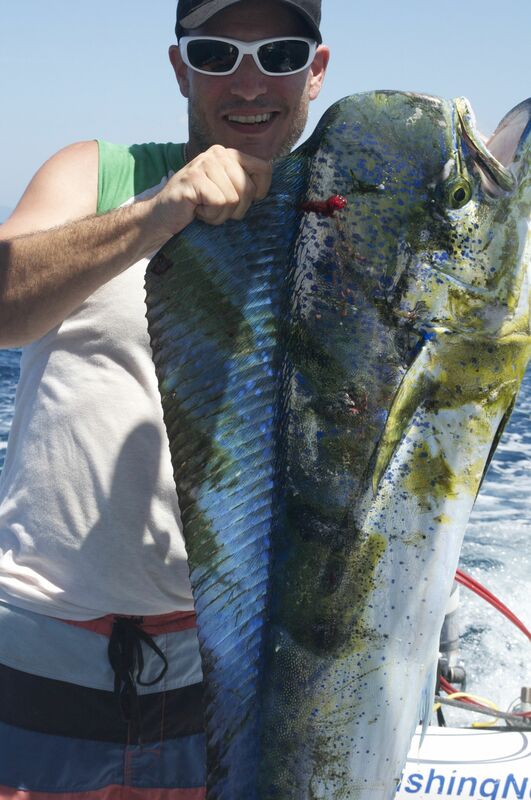 An hour later, the biggest fish of the tournament challenged Craig to a fight. 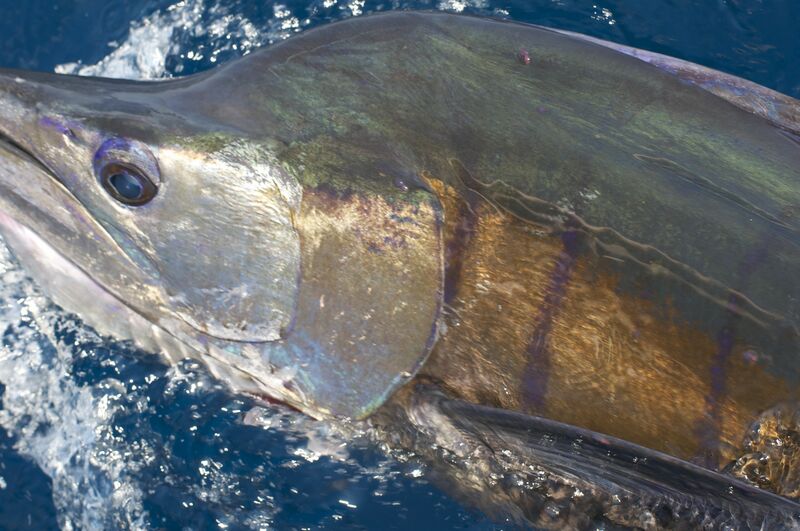 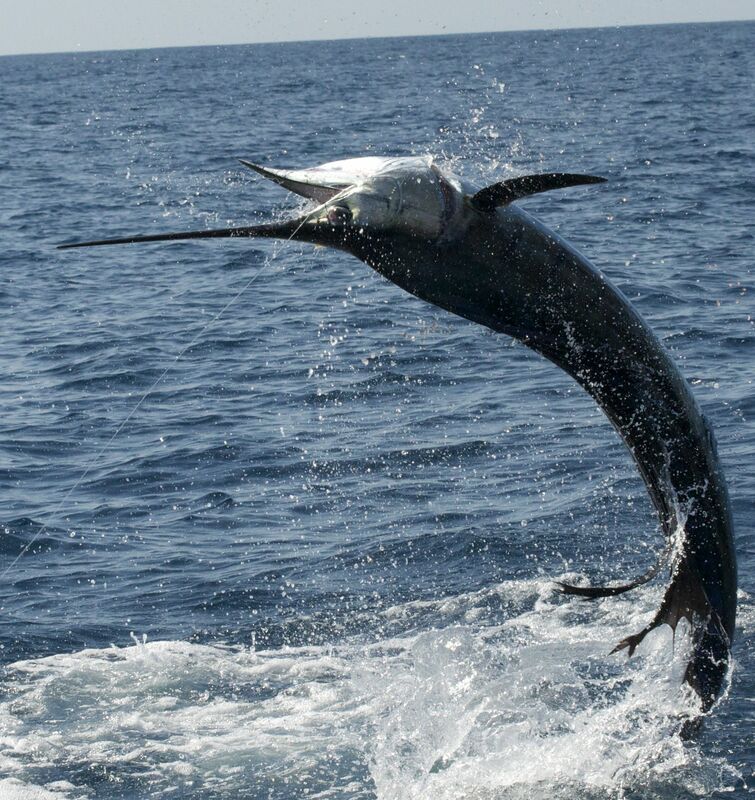 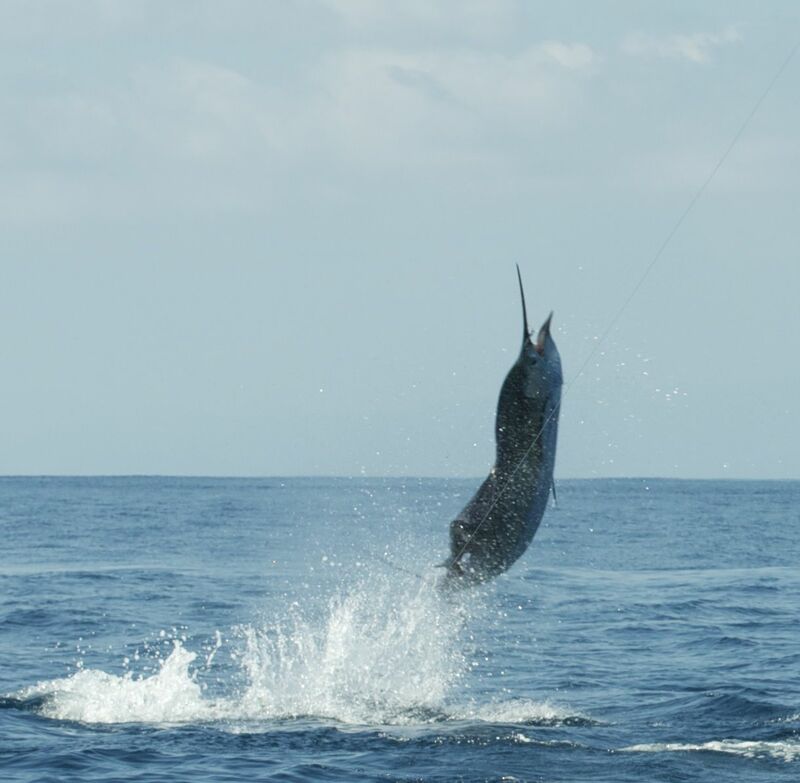 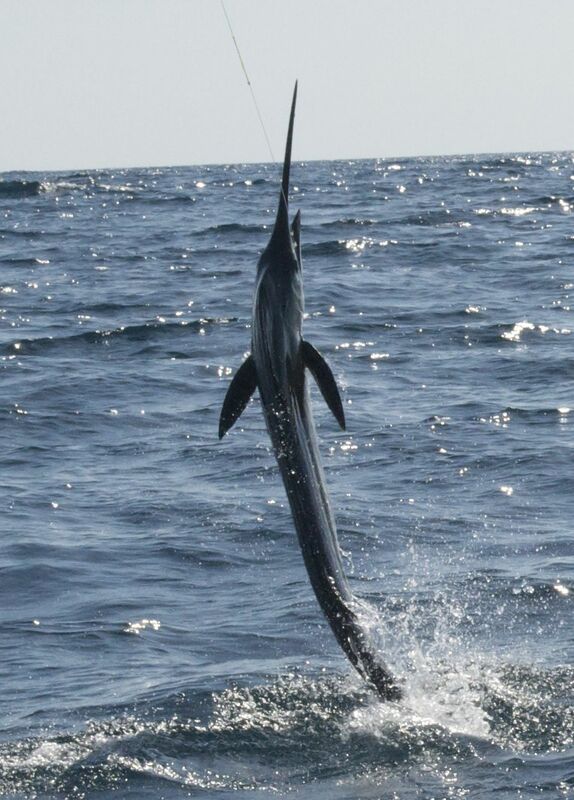 This Blue Marlin is easily 450lbs. 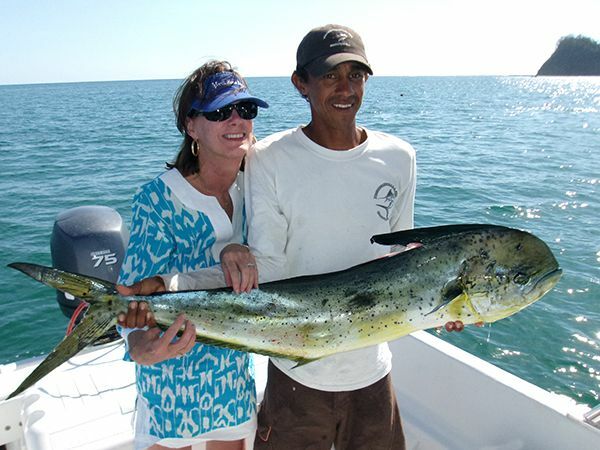 and put every ounce of his strength into a fight that lasted over an hour. 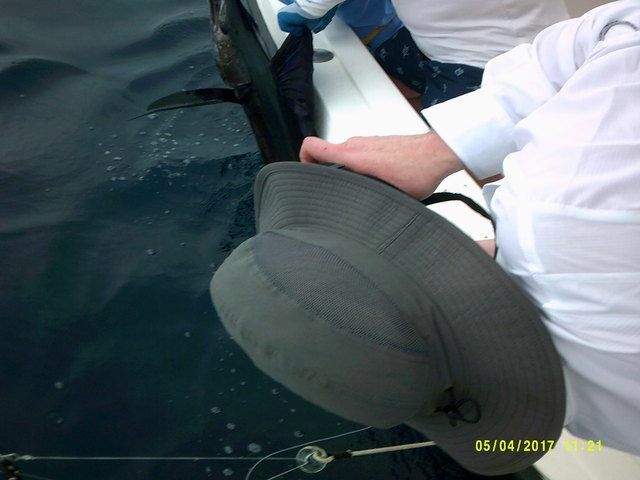 With the lead in hand Harris added another Sailfish at 1pm and Matt put another 100 points on the board with a release at 2pm. 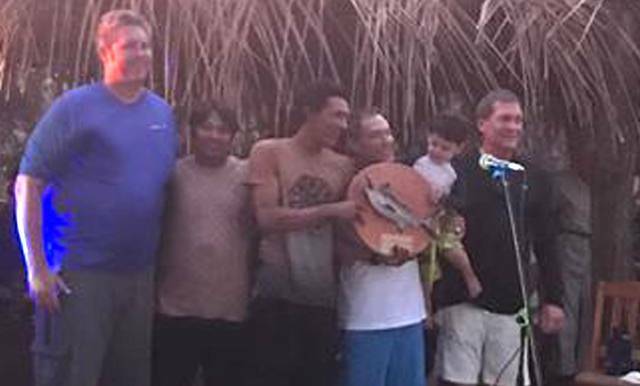 The ascension of the Explorer on the final day is indicative of the crew’s rise to greatness. 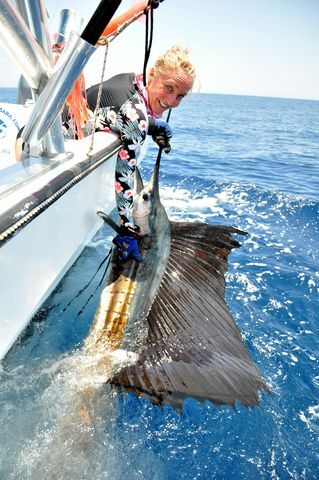 Last year Captain Fico took the helm of the Super Panga after proving himself on the 23-foot Adventurer. 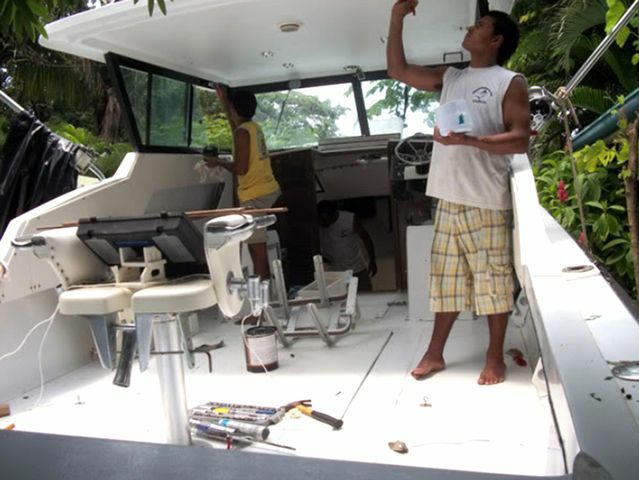 During that same time Mate Elias was security guard / panga boat driver / substitute mate serving the other FishingNosara boats. 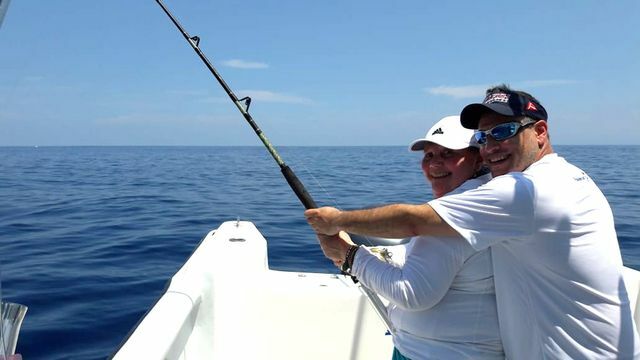 It is a great feeling to see this dynamic duo sitting on the top of the hill in Garza’s most prestigious tournament. 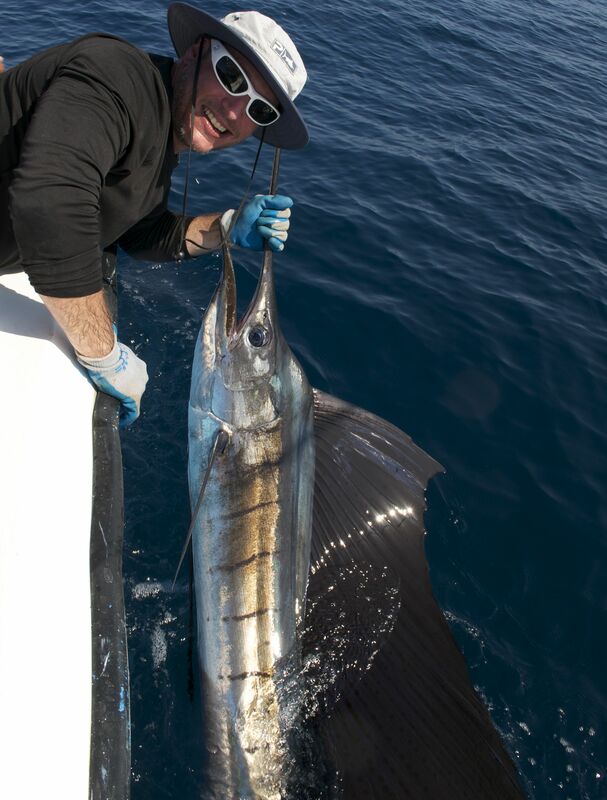 The flagship welcomed back Bob Pease and his crew of hard-fighting Georgia anglers with the hope of duplicating their success from the Dreamstater Tournament last December. 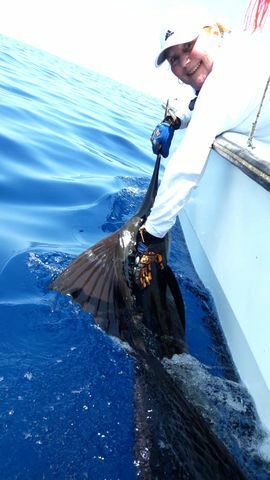 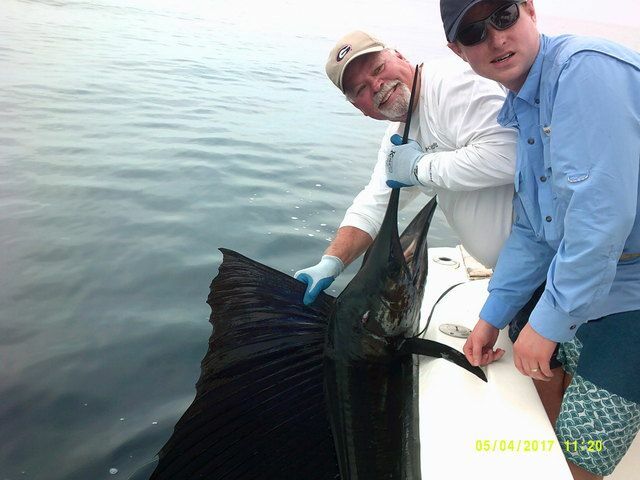 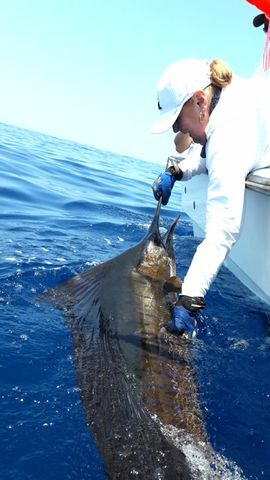 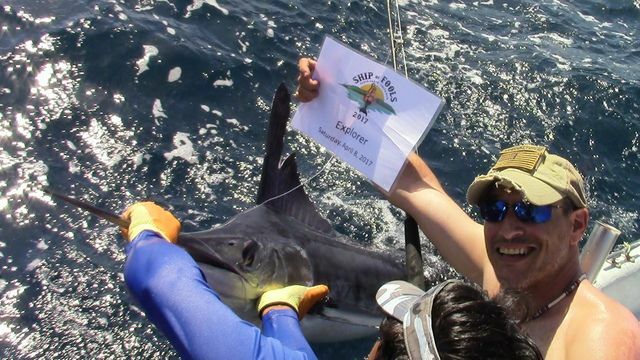 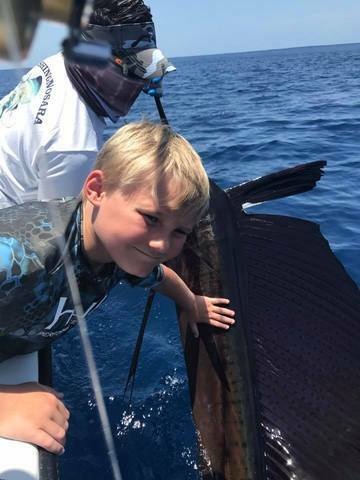 His team scored a nice Sailfish during their prefishing day, however the ocean was not as cooperative on the tournaments days with three total Sailfish releases. 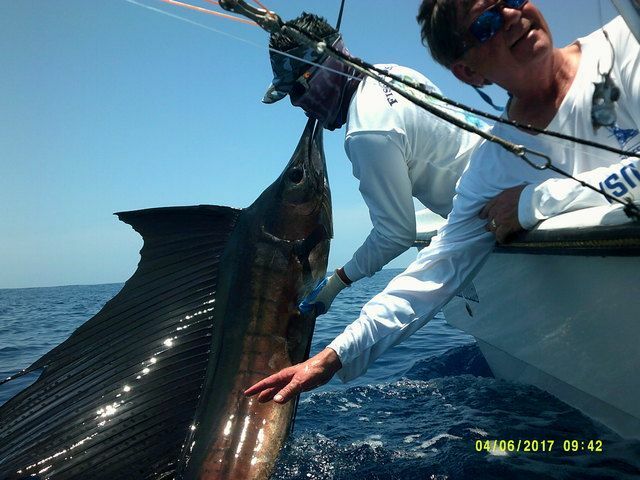 Captain William got a MASSIVE Marlin on the line late in the first day of fishing, but it put up a worthy fight and managed to shake the hook and escape. 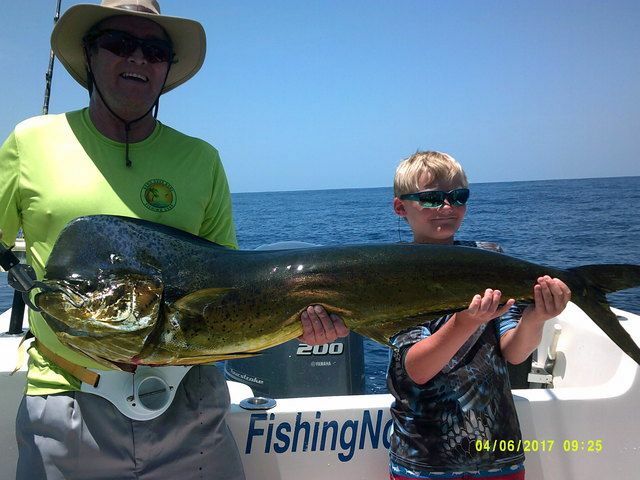 Captain Alex welcomed multiple-time FishingNosara Hall of Famer Hubble Keller to make a run at the hardware and they also caught lots of great fish, just on the wrong day. 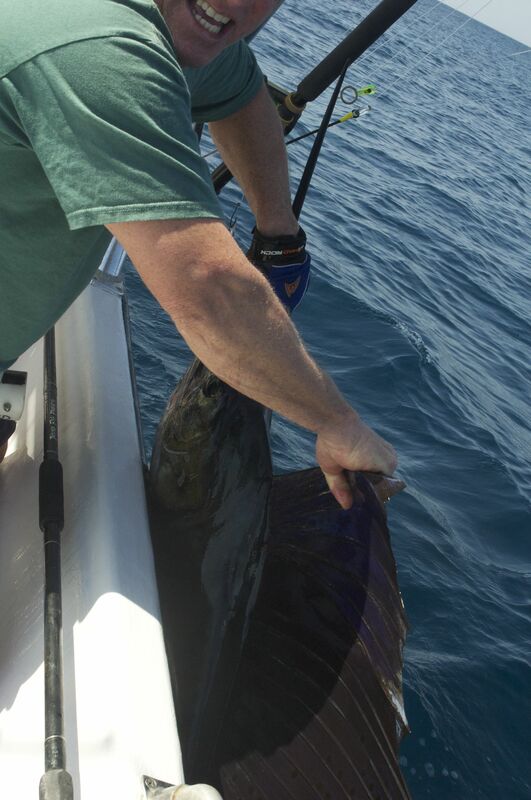 They nabbed TWO Double Sailfish releases on their pre-fishing day plus a nice Dorado for the dinner table. 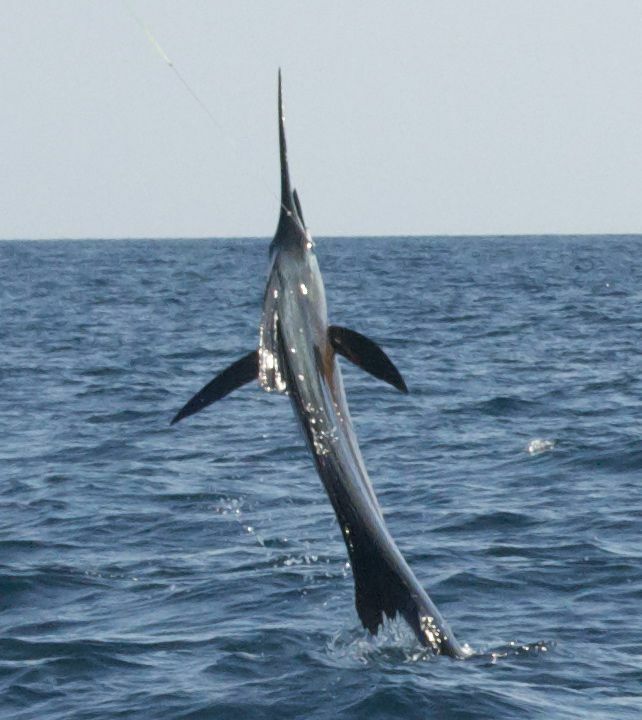 The Harvester scored a Sailfish on the first day of the tournament, putting her in a 5-way tie for 3rd place. 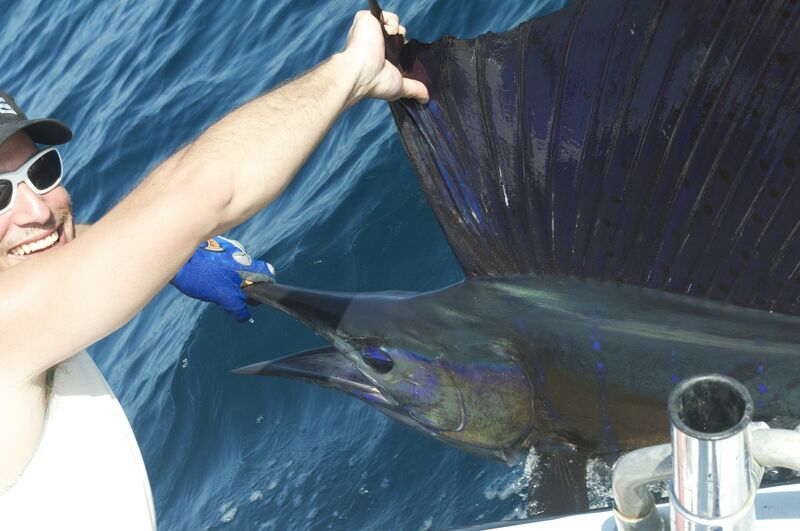 Hopeful for a big run on Day 2, Captain Alex got a Sailfish in the early morning and another around noon. 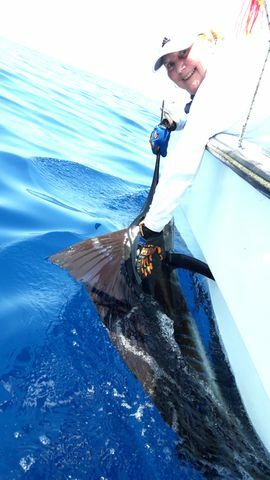 The late bite yielded a third Sailfish for the day, leaving the Harvester just off the medal stand with a 4th place finish. 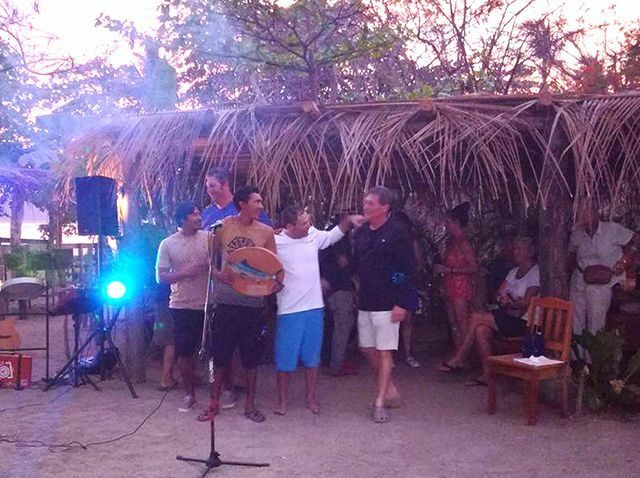 Even better was that Pat chose to donate the winnings to the Garza School and also gave the filets to our team dinner on Friday night…class act! 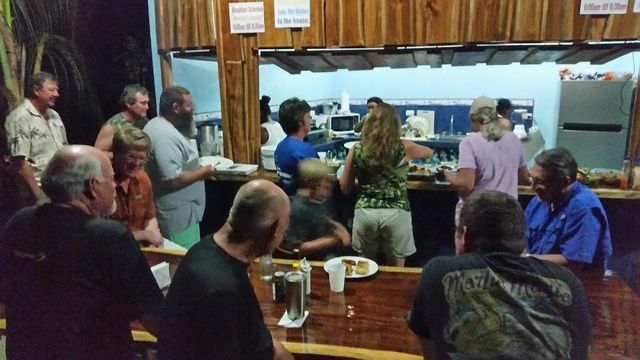 In the end this is really what tournament fishing is all about: Great folks from all over the map coming together and making new friends. 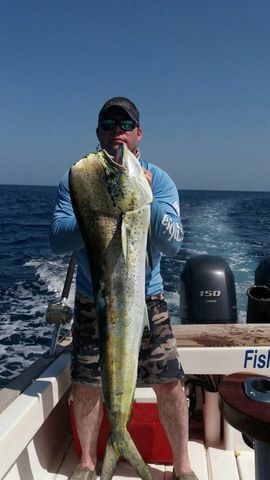 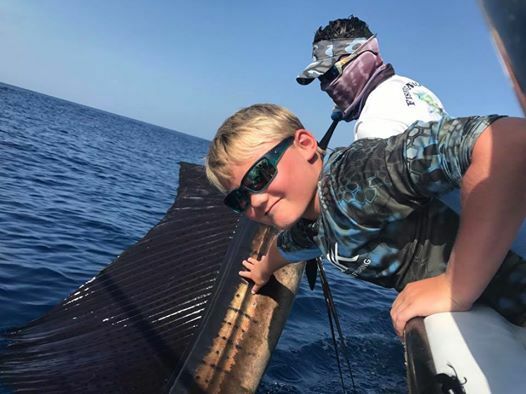 Captain Fico and Mate Elias deserve all the credit for the catches, which were posted by anglers Craig Sutton, Matt Jorn, and Harris ‘El Matador’ Savin. 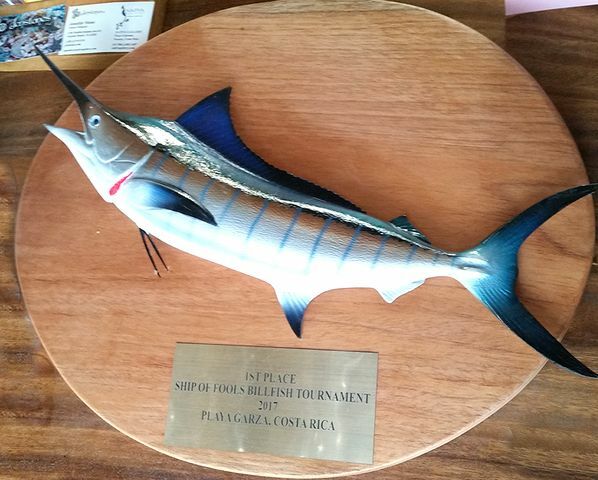 This is the culmination of years of effort and setbacks; our first time participating in this event was 2012 and despite many attempts our best finish was third place. 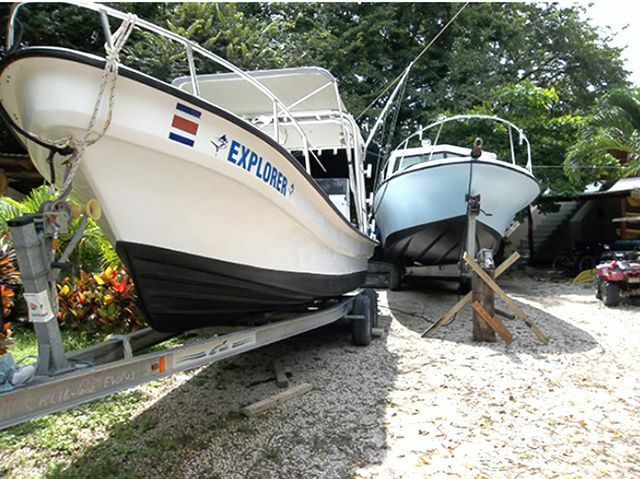 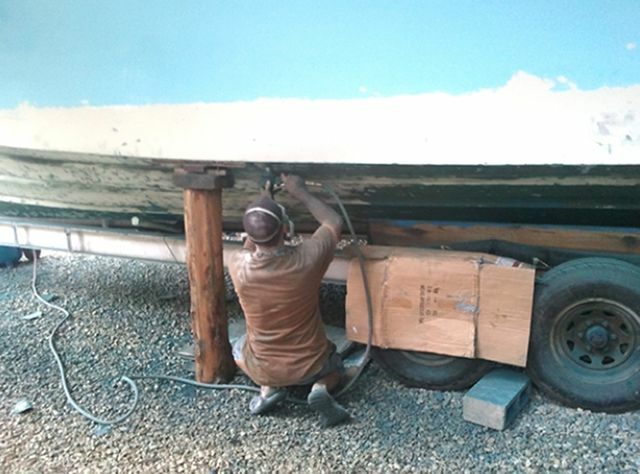 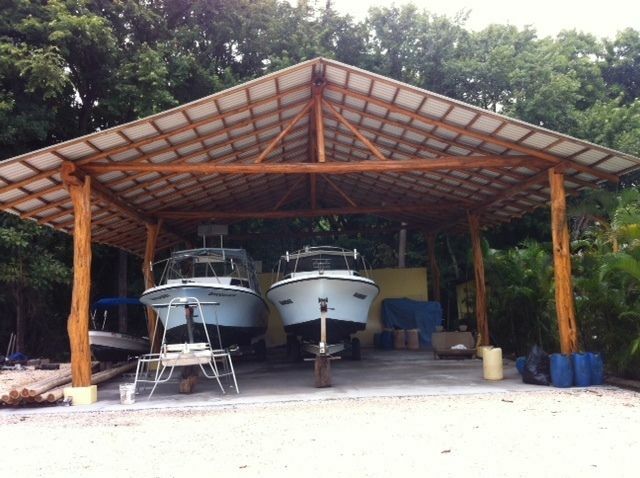 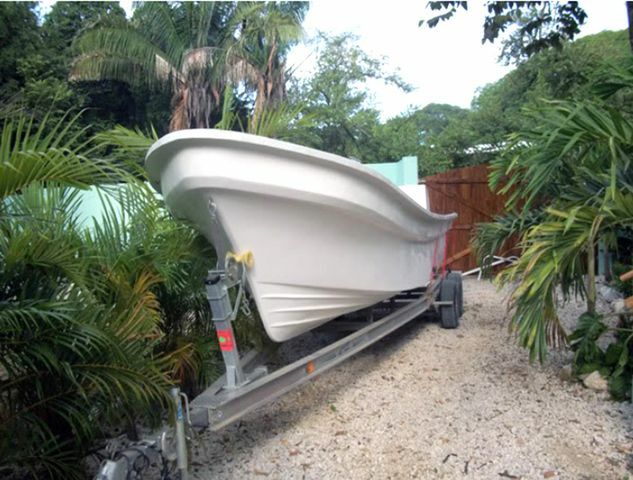 The growth of FishingNosara from a single boat in 2009 to where we are today (5 boats, 100 trips a month) has been a blessed effort costing much blood, sweat, and tears. 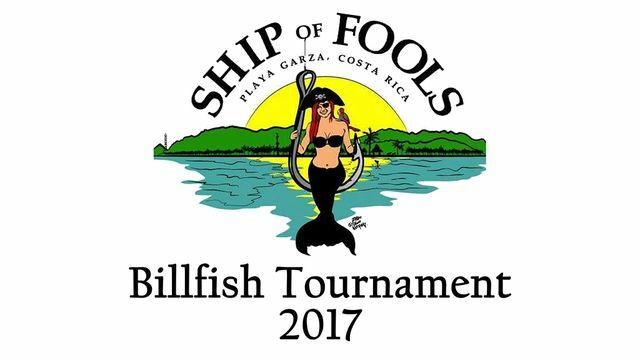 Next month we will begin issuing invitations for the Dreamstarter Tournament scheduled for December, and of course we will be back in force for the 2018 Ship of Fools Tournament next April. 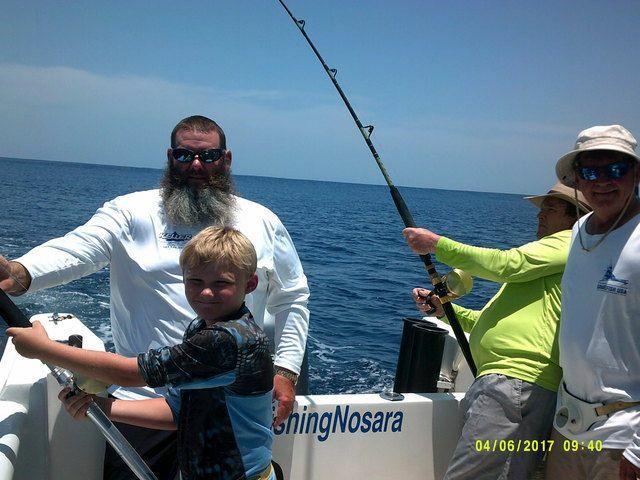 Fresh off of the Ship of Fools victory, El Matador booked the Harvester for an afternoon of family fishing with his young son Noah. 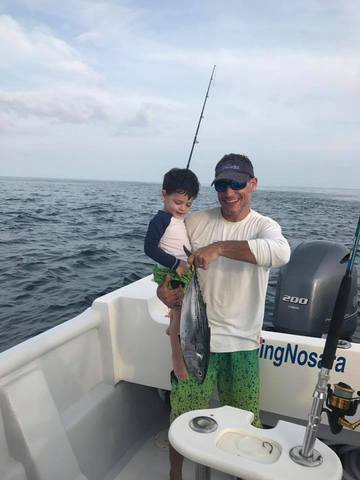 The kid took the water splendidly and turned the crank on this Bonita. 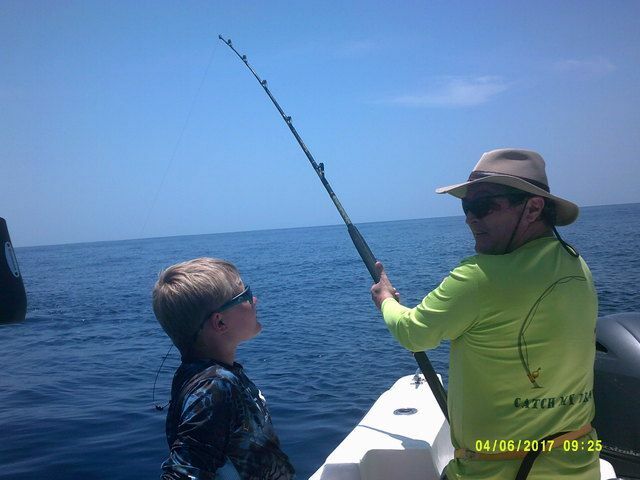 A trip on the Harvester is a great way to get a kid started fishing on the right track. 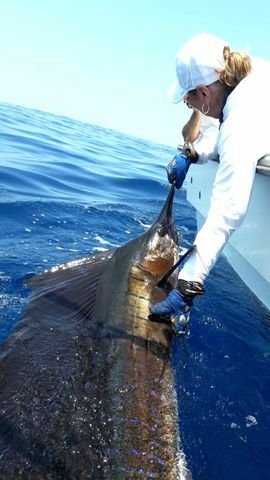 This Blue Marlin was every bit of 300lbs. 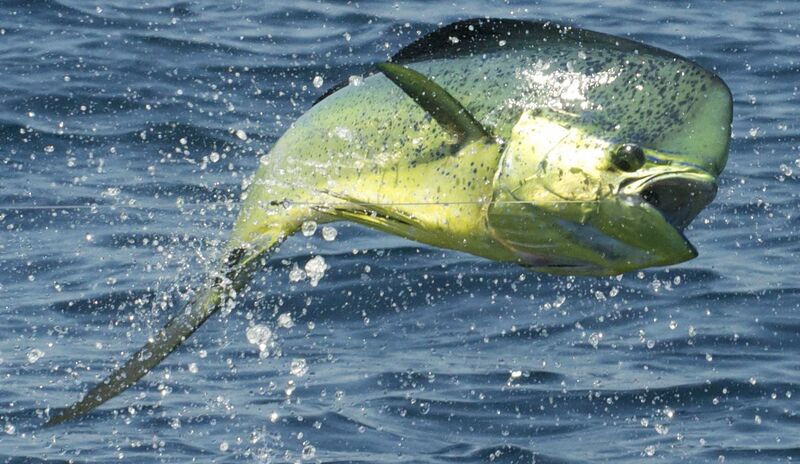 and gave us an advance glimpse at Harris’ angling prowess. 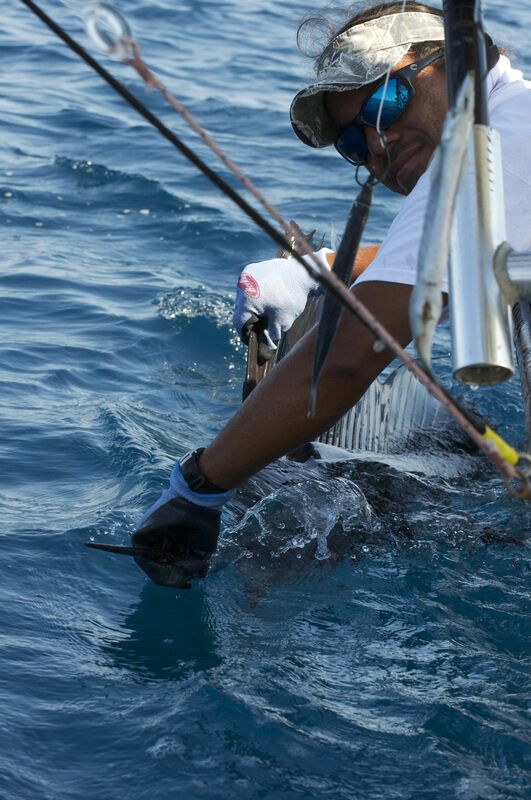 Safe releases by Mate Juan Carlos. 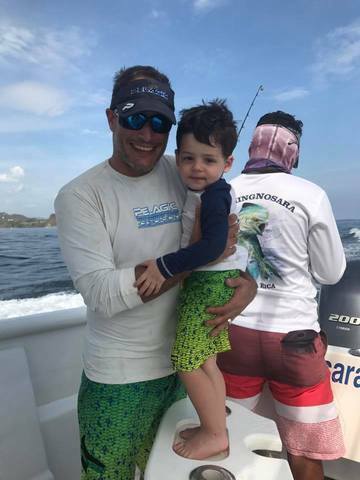 Harris Savin finished his fishing adventurer with Captain David on the Explorer, only a special guest was on hand in the mate position: Captain Carlos of the Adventurer. 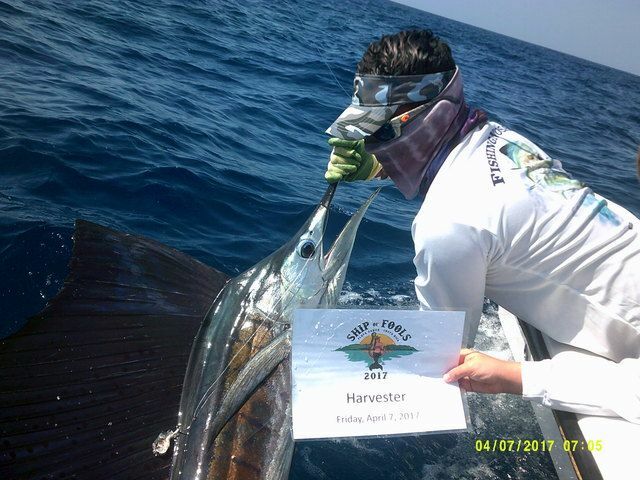 Carlos started Harris out on this great week of fishing, so it is only fitting that he see Mr. Savin finish strong. 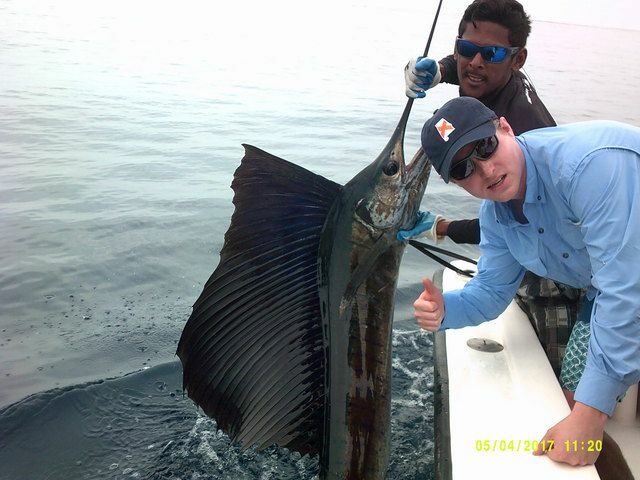 Another day, another five Sailfish! 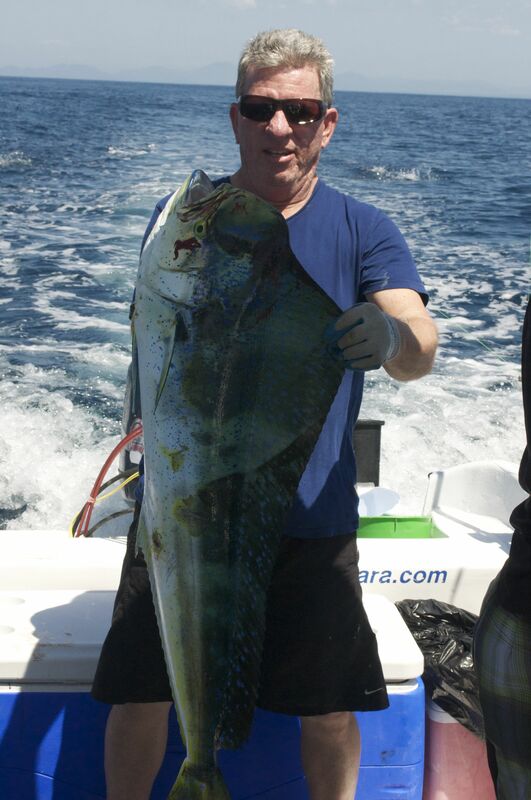 With this beefy White Tuna thrown in for dinner, I’d say this is the perfect end to a perfect week for Harris Savin! 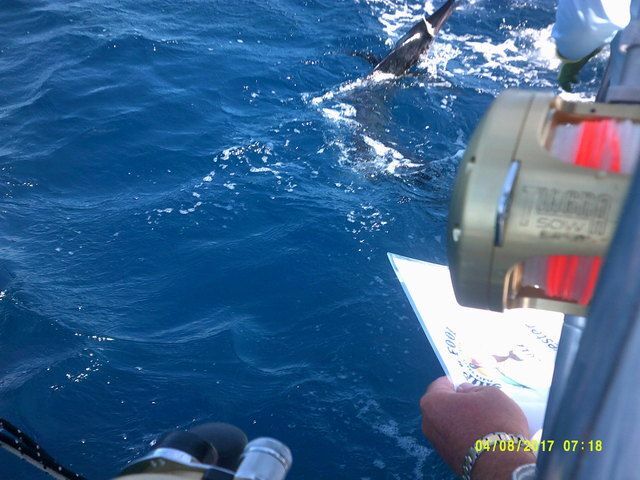 Harris Savin continued his tour around the fleet with a visit to Captain David’s Explorer. 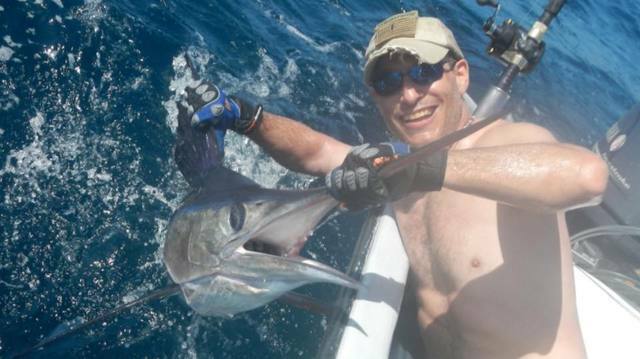 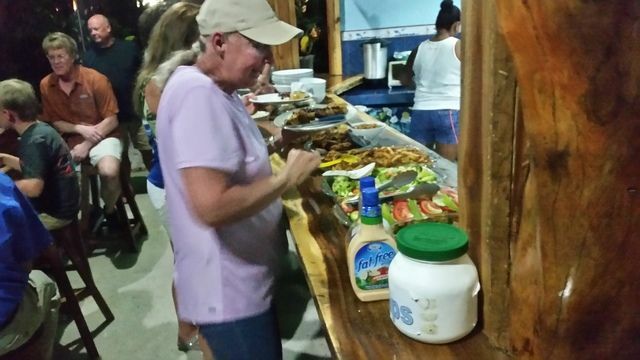 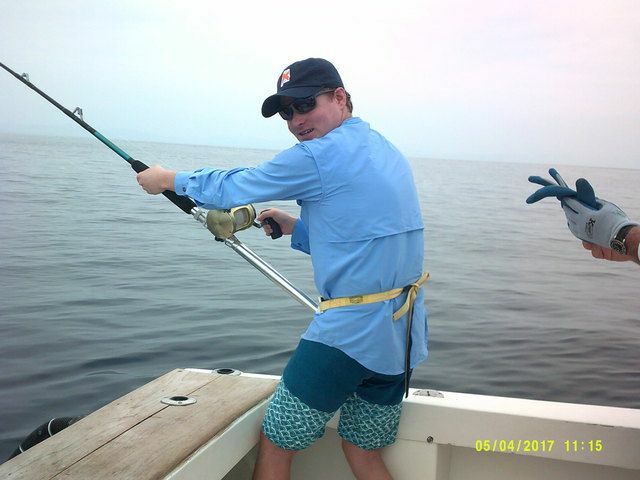 The good times kept rollin’ for this fun-loving client on the Super panga. 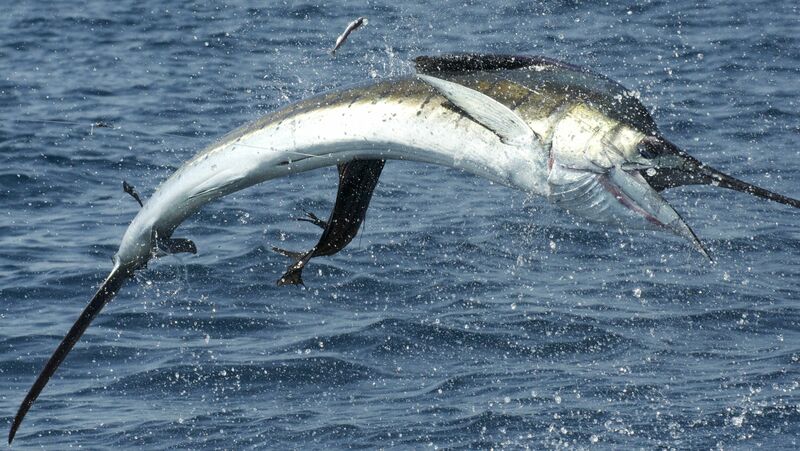 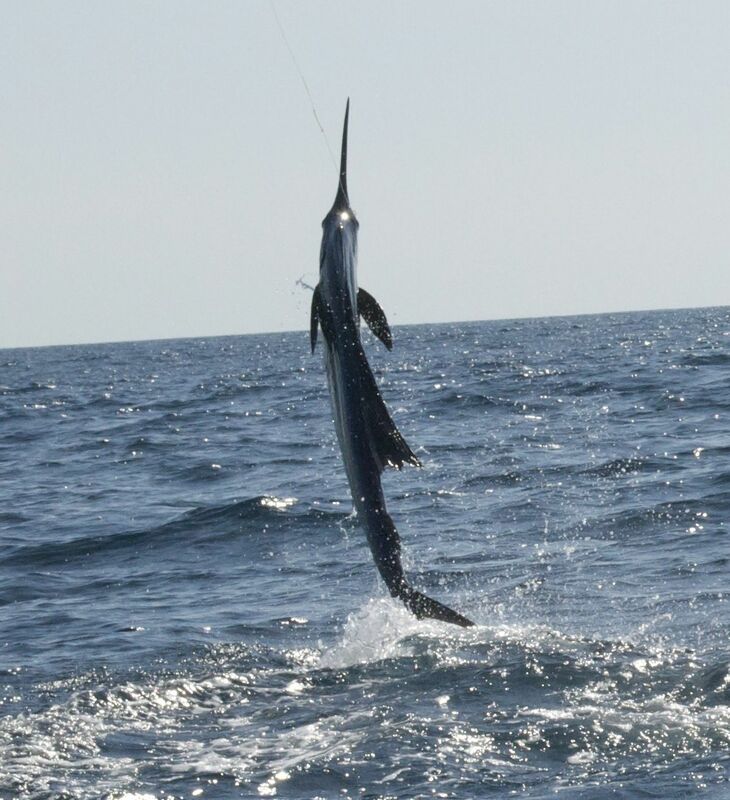 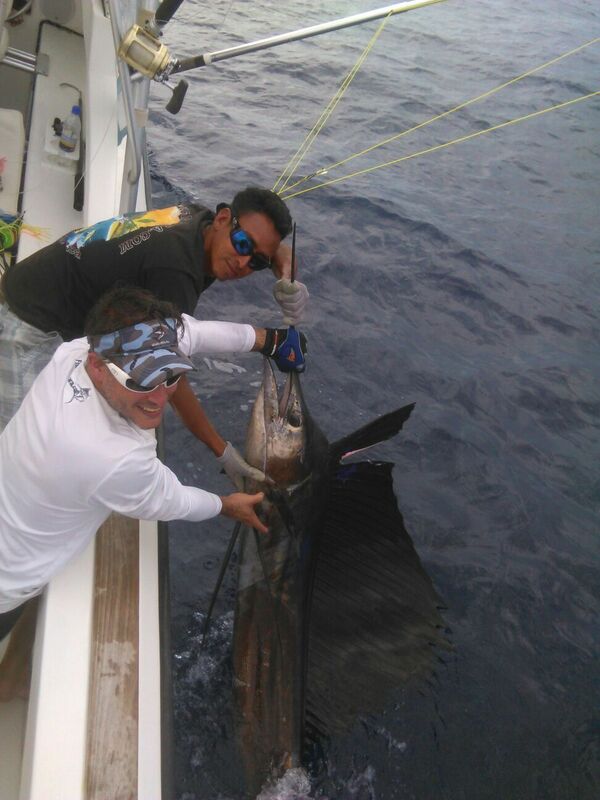 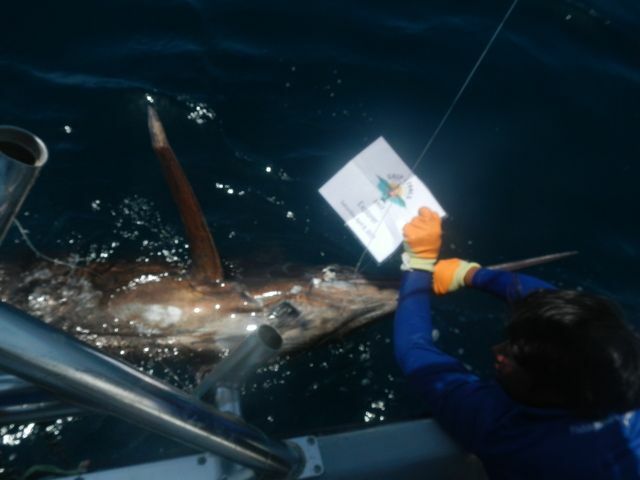 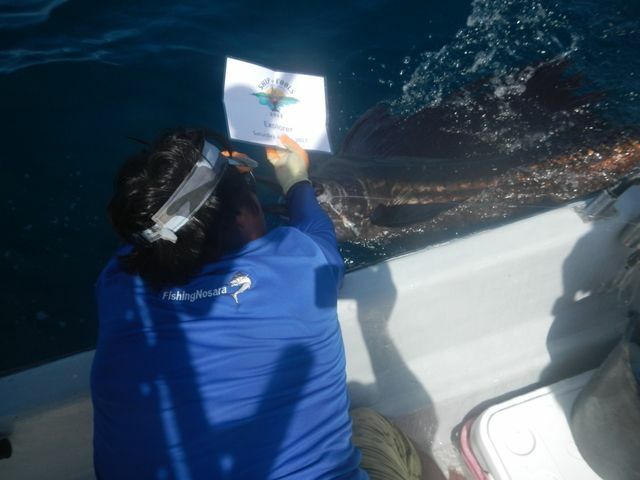 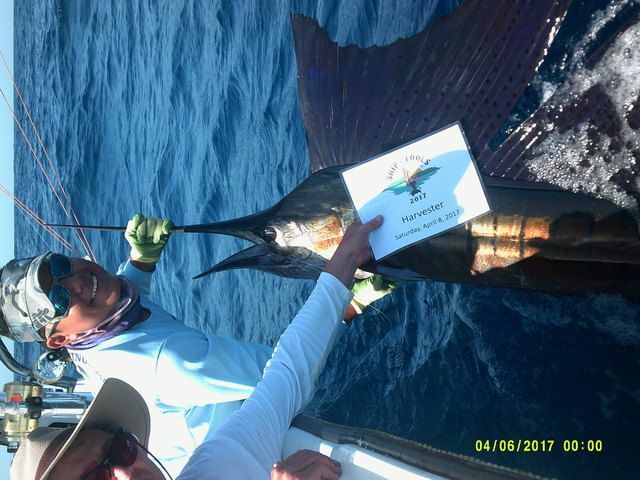 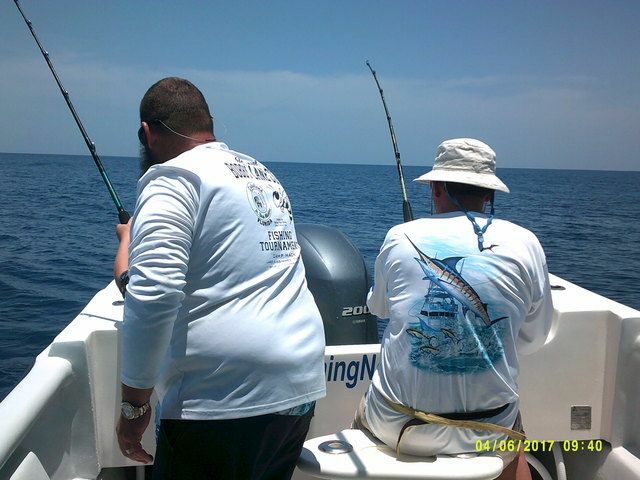 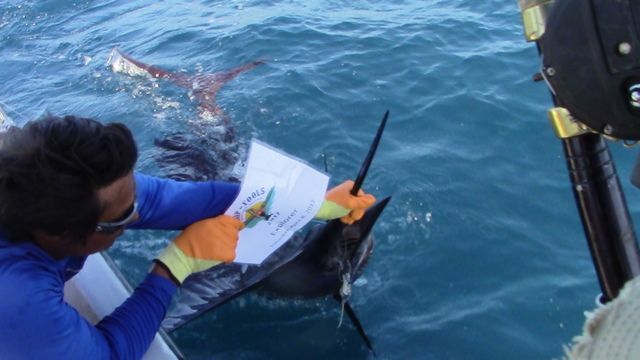 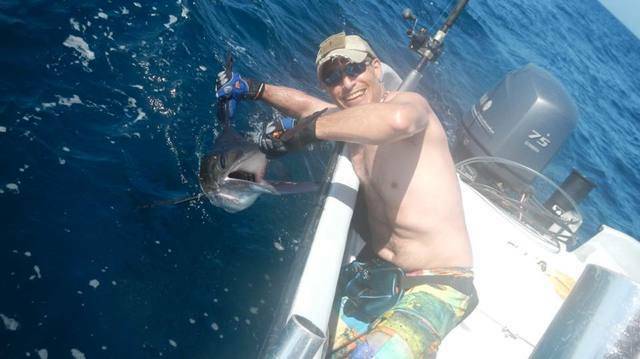 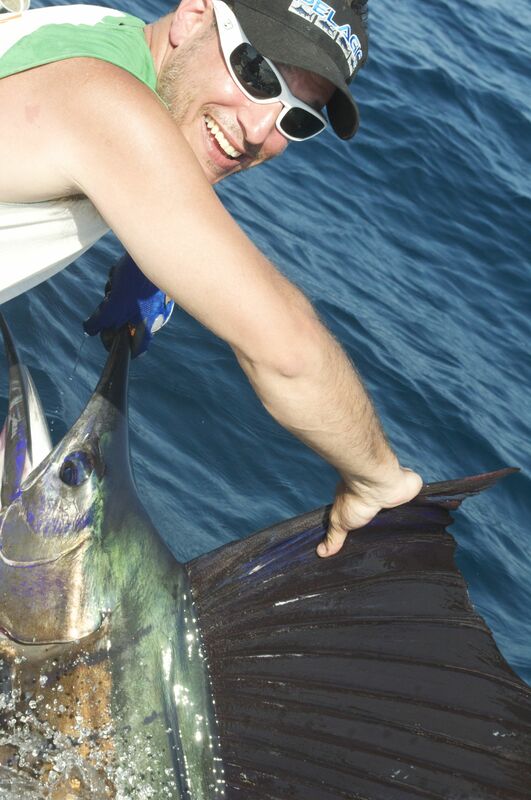 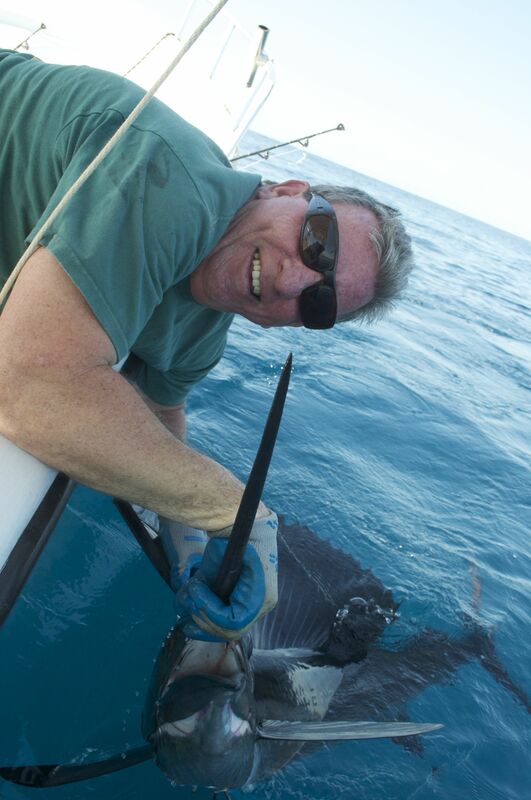 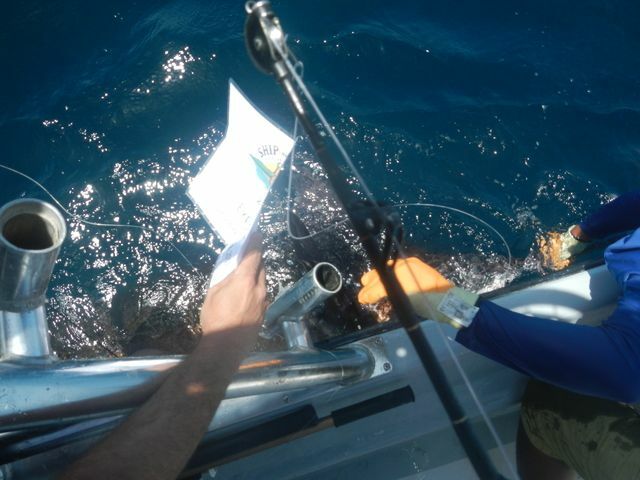 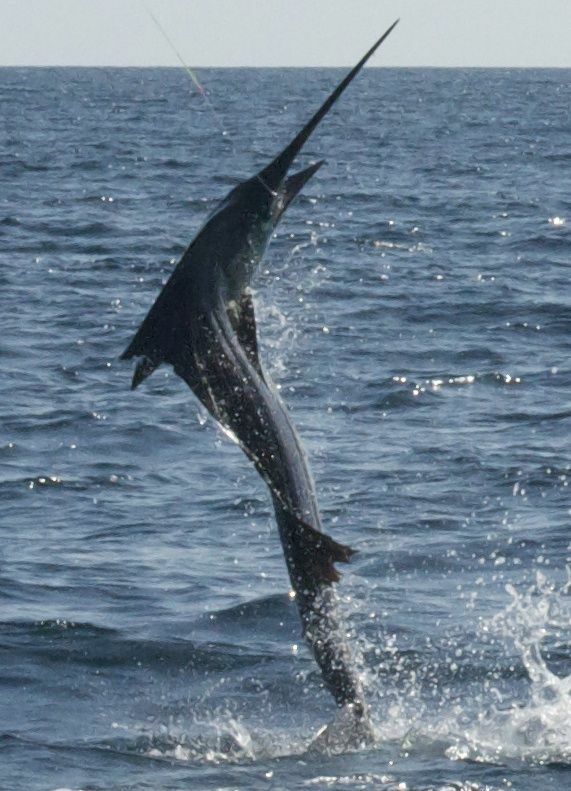 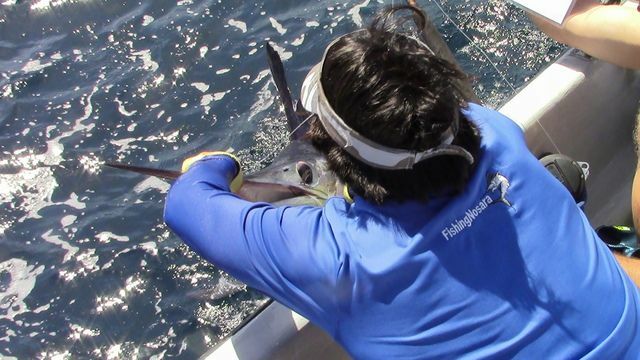 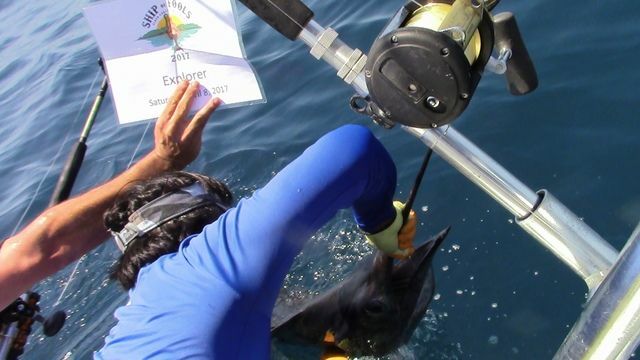 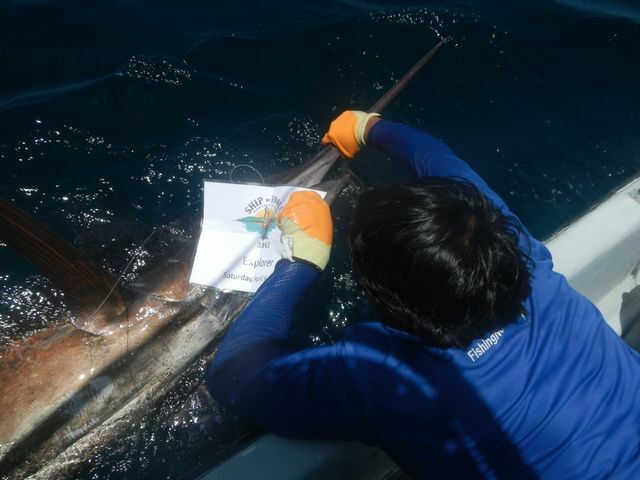 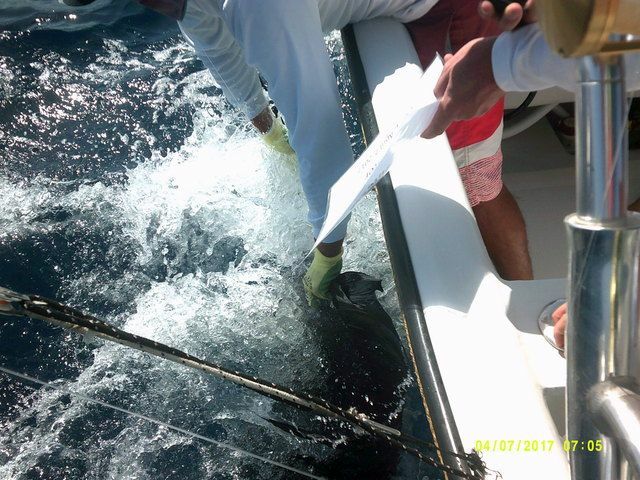 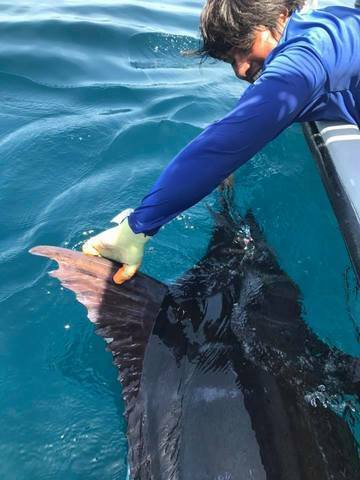 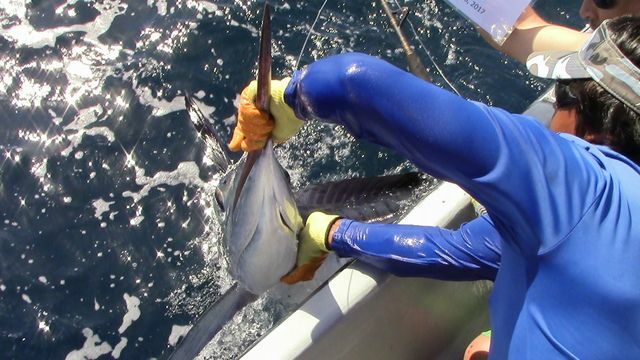 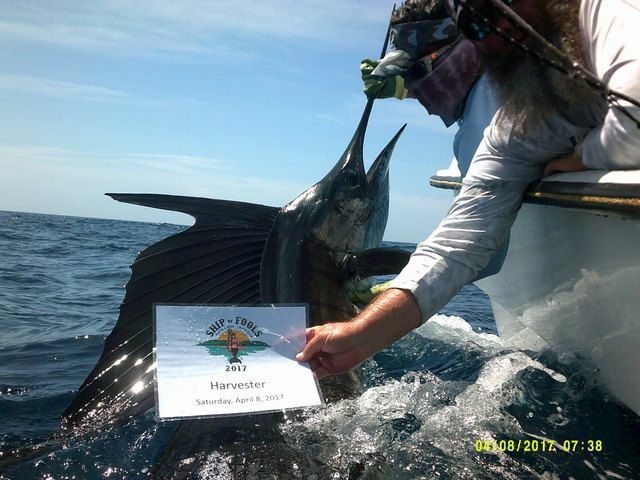 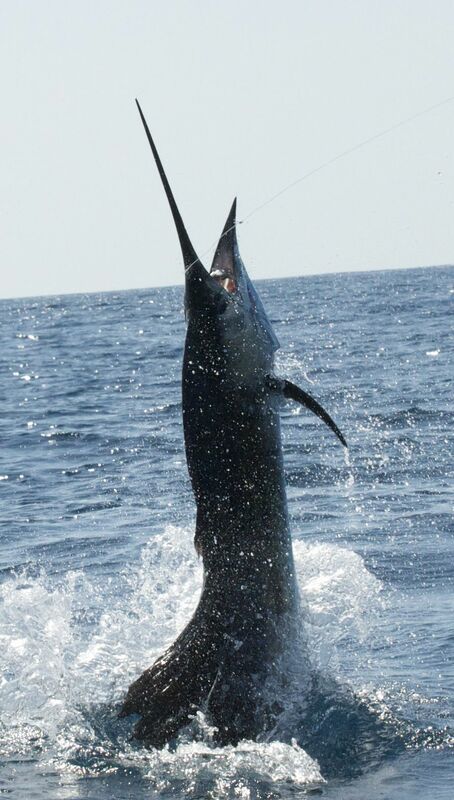 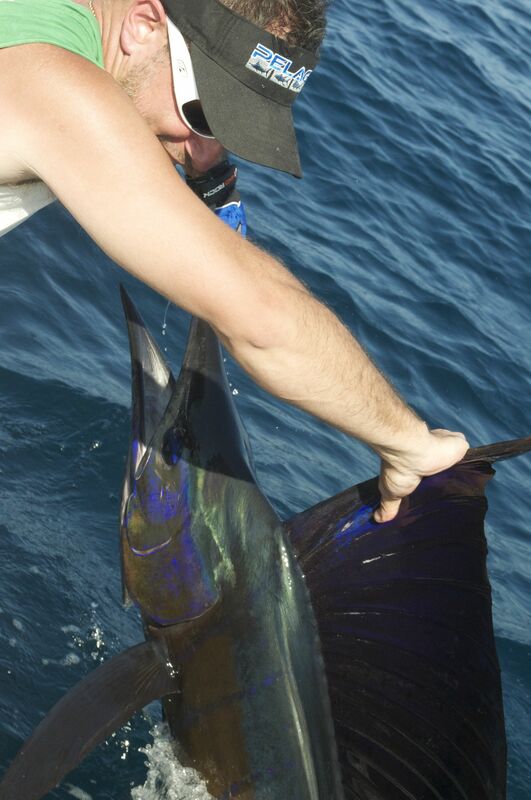 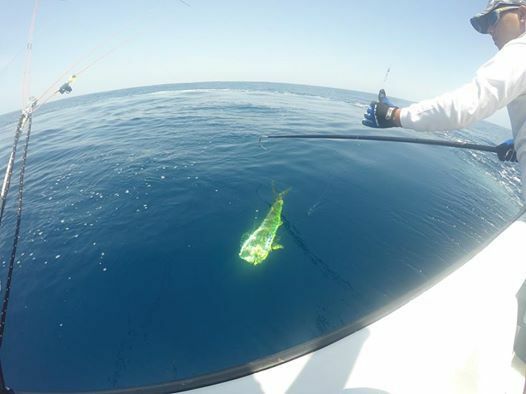 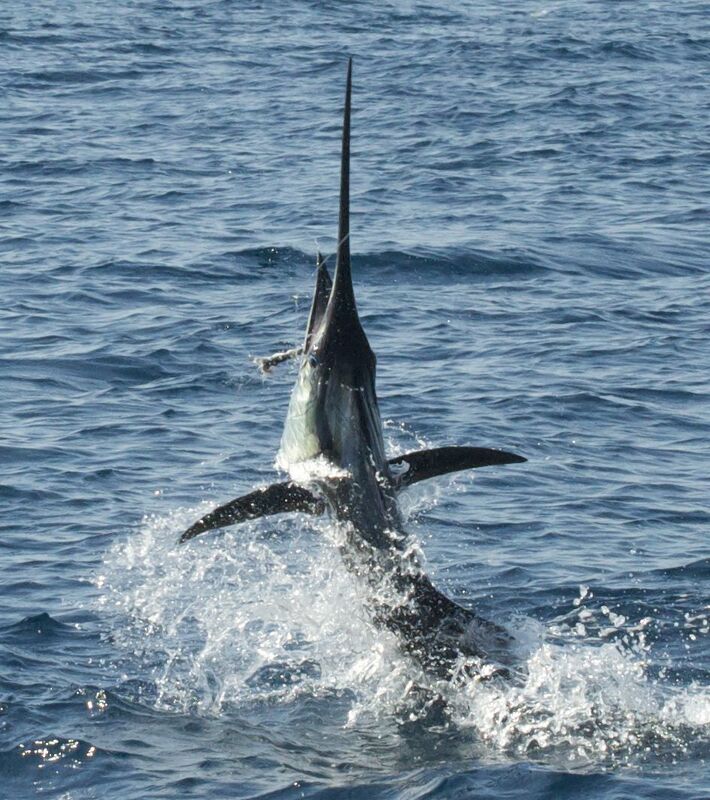 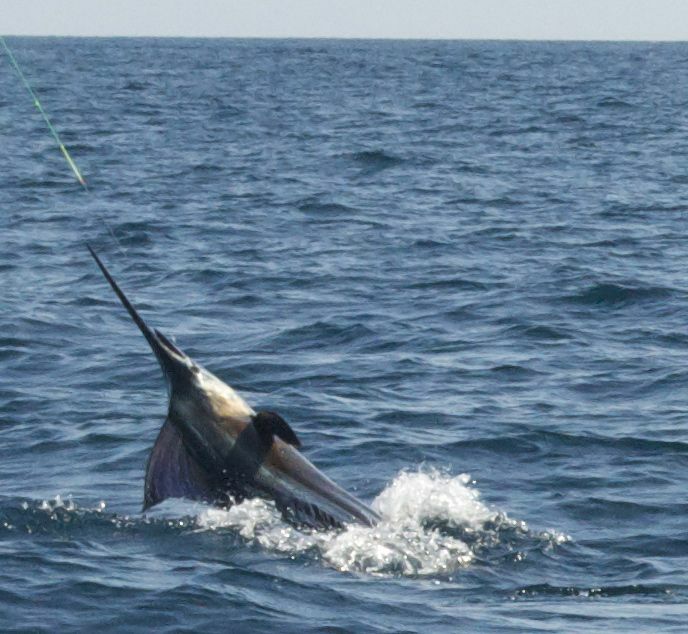 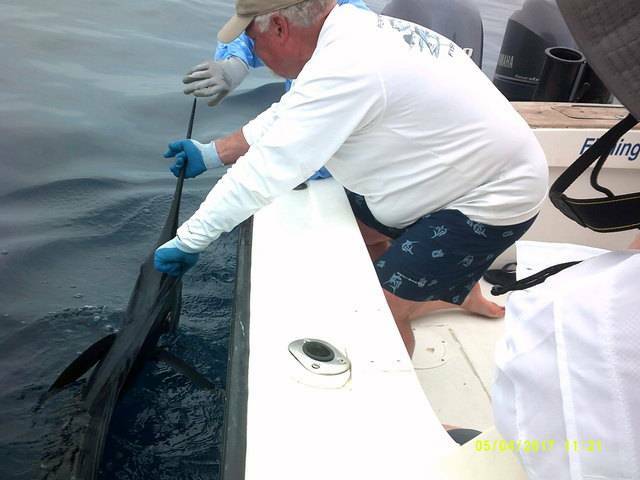 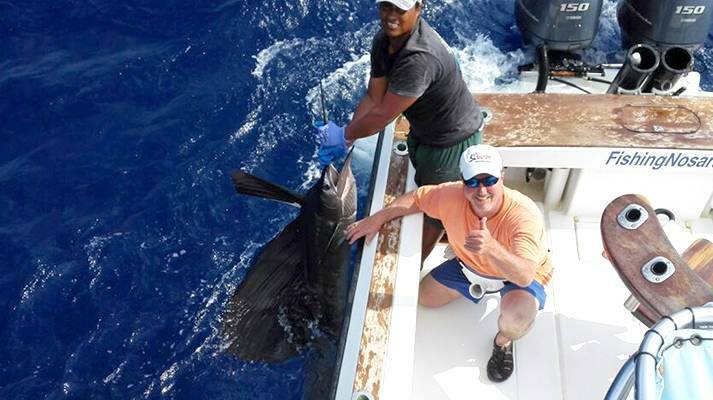 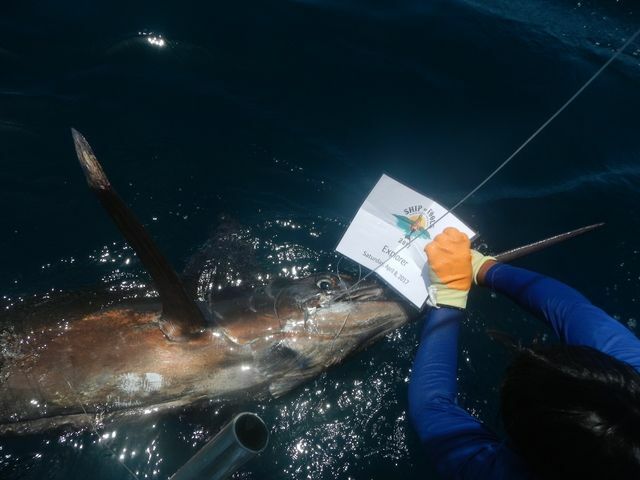 Harris was joined by Roger Smith and together they released five more Sailfish. 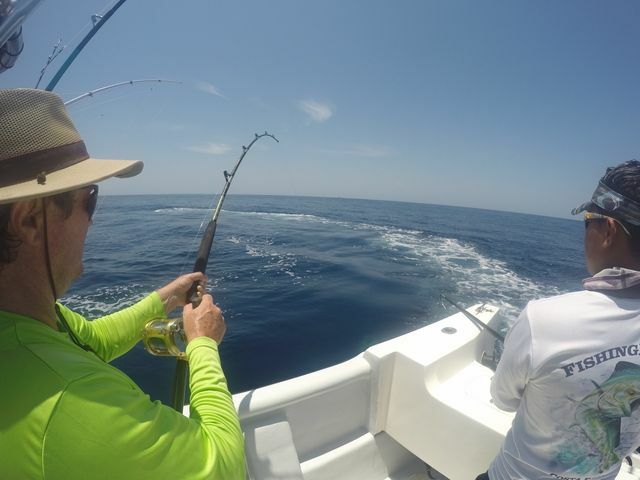 Look at these shots…Great work on the camera by Harris! 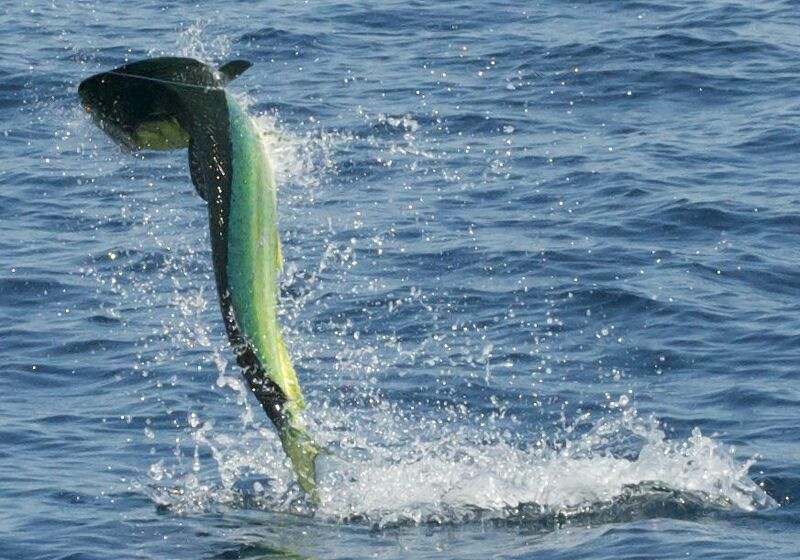 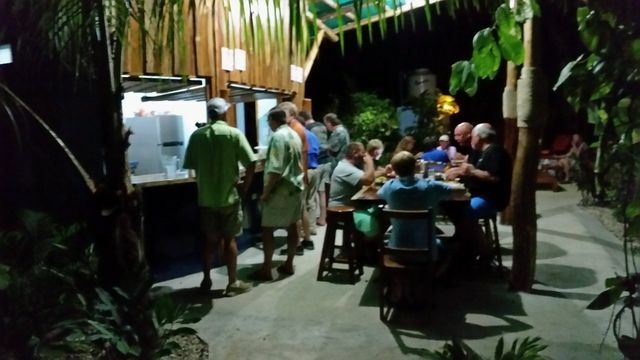 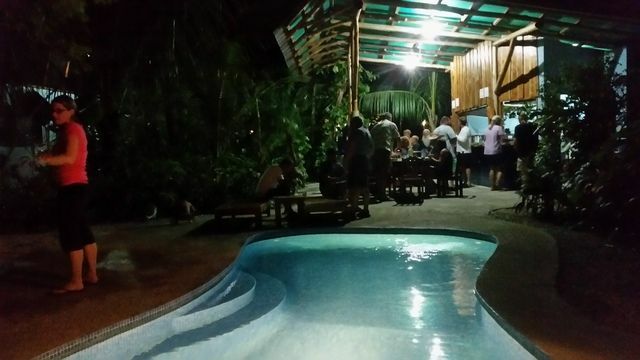 As usual they added a late-day Dorado for the dinner table. 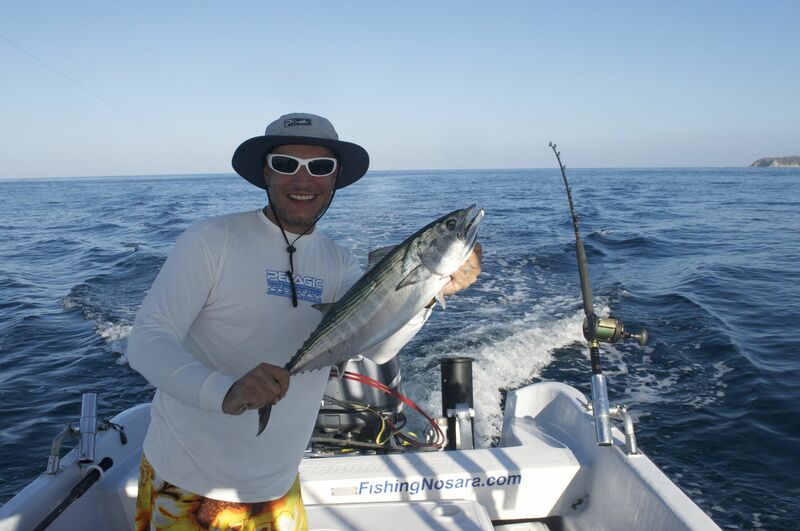 Harris is on a tear this week and we expect more great catches from this angler.